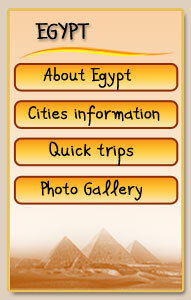 Visit all of Egypt's historical sites and desert attractions in one trip. Explore Cairo, Giza, Aswan, Comombu, Edfu ,and western oases plus 2 nights cursing in the Nile between Aswan and Luxor. 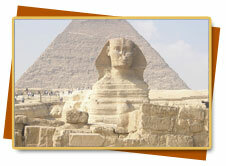 OUR representative will meet and assist you in Cairo international airport, overnight in hotel. 7Am Pick up from your hotel in Cairo, move to the bus station, take the bus to Baharria Oases, 360 kilometers south west of Cairo, one after noon, arrive there and meet our local representative who will take you to the hotel to check in, have your lunch and start jeep tour to the White Desert. 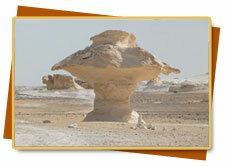 In your way there you will see the old White Desert, the new White Desert, Flower Stones, the Salt Lack, and Springs. In the evening you will have your tent in the White Desert, enjoying the charming sunset you can imagine and discover the secrets of the desert at night, where our Bedouin friends cook you food by fire. Finally, Overnight there in tent in the White Desert. In the morning, you will be driven to see the quartz Crystal Mountain, Black Desert, back to the hotel in Baharia Oases, have your lunch , and relax for a while .At 2,30 pm you will move to the bus station taking the 3pm bus back to Cairo. You will be in Cairo at 8pm and overnight in Cairo. After breakfast meet our tour guide(who has a valid license) in your hotel at 8 am, drive to the citadel of Saladin to see the ancient walls and towers which dates back to 1171 A.D and the famous mosque of Mohamed Ail- the most famous mosque in Cairo sky line ,then you will move to the religious community (old Cairo ) to see the Hanging church ,the ruins of the roman fortress ,the synagogue of Ben Ezra, and AMR IBN EL-AAS mosque the first mosque was built in Egypt 642 A.D ,a lunch break ,then moving to the Egyptian museum to see the fabulous collection of king TUT and much more from our ancient Egyptian antiquities. In the evening transfer to the train station, take the overnight train to Aswan. Your tours local representative will meet you in the train station with a sign by the name of yours tours, check in your Nile cruise, transfer to visit philea temple, the high dame , then back to the cruise and overnight. Finally, Sailing on the way to Comombu. Morning visit to the dual temple of Sobek and Haroeris in Kom-Ombu, and then we drive to Edfu to visit the most well-preserved temple in all of Egypt -- dedicated to Horus, the Falcon God, and then back to the cruise sailing on the way to Luxor. Bus from Cairo to Baharia /from Baharia to Cairo. all the equipment for camp. all the meals in the camp.